Add a touch of timeless charm to your shop front or façade with this attractive aluminum outdoor gooseneck lighting fixture. Gooseneck lights are a fantastic way to light your business's signage. A sophisticated step above overdone internally lit sign boxes, these modern gooseneck lights add a touch of upscale elegance to your façade both in the daylight and at night. They create an interesting focal point when installed above a doorway, along an awning, or over a sign, even when they are not lit. And with a wide diameter of thrown illumination, they cast brilliant light over your sign, doorway, or whatever you are trying to showcase at night. Our commercial-grade gooseneck lights for sign lighting are suitable for use in both exterior and interior applications. They are made from a high quality aluminum that has a rustproof powder coat finish for maximum weather resistance. 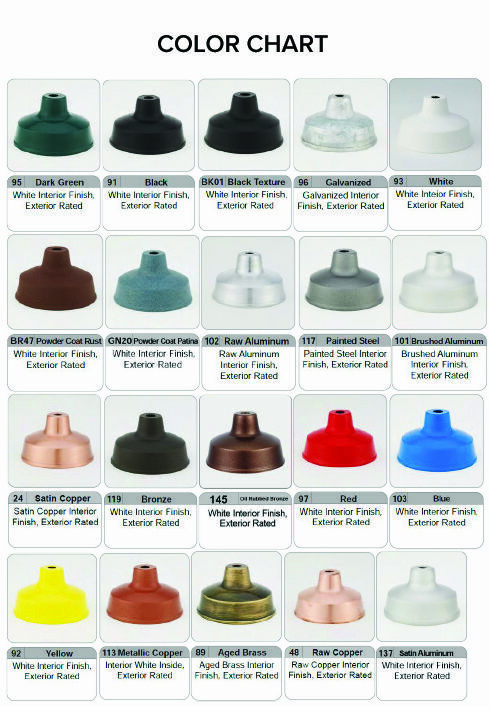 You can choose your gooseneck light's finish from 20 different color selections, including bold primary colors and industrial-chic faux metal coatings. Made on-demand to your exact specifications, these outdoor gooseneck light fixtures can also be customized by arm style, power source, and optional accessories, offering you the surest fit for your design job. An optional swivel coupling is also available for more precisely directed lighting. Each of these outdoor gooseneck lighting fixtures comes complete with everything you need for easy installation. A 4 5/8" diameter round aluminum back plate (painted the same color as the finish you choose) mounts directly to any wall while the included incandescent ceramic socket is wired for 120V service. The back plate can be mounted over any standard 4" diameter flush mount round or octagonal junction box (mounting holes are 3 1/2" on center. Call our customer service department if you have any questions about maximum incandescent wattage or other lamping options. For the best aesthetic, install one gooseneck light every 3-4 feet of signage, wall, or awning length.